JOHN(?) EDWORTHY. Cheldon is a tiny village in North Devon, 3 miles east of Chulmleigh. It stands high above the wooded valley of the Little Dart. There is only a handful of houses and farms and a 15th-century church. One of these farms, a mile and a half south of the village, is named Edworthy. We do not know what connection it may have with our family. The next generation after John and Richard starts with the baptism of a son John in 1694, for John Edworthy and his wife Joan. Richard’s son of that name was baptised in 1680, and would therefore be too young to be the father. This is likely to be the older John’s son, born before the start of the registers. The frequency of this name makes it likely that the father of John and Richard was himself named John. From the dates that John and Richard were having their families baptised it is likely that they themselves were born around the 1640s or 50s. This would put their father’s birth around 1620. In the absence of an extended family of Edworthys in the early registers, it would appear that John may have moved to Cheldon from another parish. 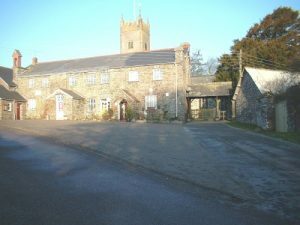 One possibility is neighbouring Chawleigh. 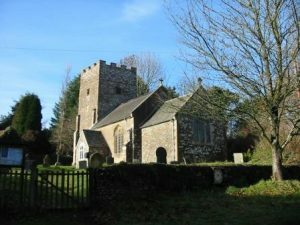 The early registers have yet to be checked, but there is a list of wills proved at Barnstaple for residents of Chawleigh. There are five for men named John Edworthy, from 1568 to 1639, two for Roger Edworthy, 1638 and 1683, and one for Joan Edworthy, 1601. John’s ancestors may well be among these. We seem to be dealing with only one family at this stage, so it is a reasonable presumption that Ann is both Richard’s mother and the older John’s wife. Her marriage to John is too early for the Cheldon registers and has not been found in another parish, many of which also lack early registers. We do not know her surname. She may have married John in another parish and moved to Cheldon with him, or she may come from an established Cheldon family and be the reason John settled in the parish. The couple are likely to have been young adults in 1642 when the bitter Civil War between Royalists and Parliamentarians broke out. North Devon was heavily Parliamentarian. Most people were engaged in the wool trade, either through raising sheep or processing the wool for sale. They had been hit by the increased taxation necessitated by King Charles’s wars and also by the slump in overseas sales as these wars made shipping more dangerous. John may have fought in the Civil War. Charles I was executed in 1649. For the next ten years, England was a republic. From 1653 it was ruled by Oliver Cromwell as Lord Protector. It is likely that John and Ann married during the Civil War or the Commonwealth period which followed it. Besides sons John and Richard, who were having children in the 1670s and 80s, there may have been daughters who married before the registers begin, sons who moved to other parishes, and/or children who died young. Eventually the people tired of the strict Puritanical rule, which, among other prohibitions, abolished Christmas and forbade the playing of games on Sunday. Cromwell died in 1658 and was briefly succeeded by his son. But in 1660 Charles I’s son was offered the throne as King Charles II in the Restoration of the monarchy. John and Ann raised their family during these tumultuous times. We do not know when John died. It appears to have been before the Cheldon registers begin in 1673. Ann was a widow and a householder in an account of rates in 1673. The following year, the churchwarden, Simon Hammett, another ancestor, records that the seven principal ratepayers of Cheldon supplied 10,700 shindles (shingles) for the church roof. Francis Cornal and Ann Edworthy jointly contributed 3,400, of which Ann’s share was 281. Hers was the joint lowest figure, along with Roger Passmore’s. If we compare these contrbutions with the list of Cheldon ratepayers around 1711 and the rates they were charged, we find there are again seven properties. The two lowest, charged £0. 0. 2 each, are Henroost and Mary Parsmoore. This makes it highly probable that Ann was living in Henroost in the late 17th century. Henroost lay on the northern edge of the triangle formed by the road past the church and another at 60º to this. There is no longer a building on the site. In the tithe apportionment of c.1840 it has become Henroost Tenements, meaning that it was under multiple occupation. It is described then as “Homestead, etc.” Only a small garden is shown. Ann was appointed because she was a leading householder in the parish. There were seven of these, six men and this one woman. These seven people form the pool from which one was chosen each year to serve as churchwarden. It was far from unusual for a woman to hold this post. In the first decade of the 18th century four out of Cheldon’s ten churchwardens were women. Ann did not, in fact, perform the duties herself. The accounts for 1684 are entitled: “The account of Richard Edworthy Church warden for the year last past.” A woman’s son often acted on her behalf. But not always. In 1703 Elizabeth Webber was churchwarden. The handwriting of the accounts is the same as for those of Lewis Harle, who also took a turn as churchwarden. But the page is headed: “The account of Lewis Ha Elizabeth Webber”. The correction shows that Elizabeth was in charge. We have not found a record of Ann’s death. Since she does not appear again in the list of churchwardens, she may have died in the 1680s. 1682-4, when there is a gap in the Cheldon registers, is a possibility. BMDs and Wills from Findmypast. Churchwardens’ accounts from Devon Record Office, (now South-West Heritage Centre, Exeter). Mark Stoyle, Loyalty and Locality, University of Exeter Press, 1996, p.42.